As a kid from Colorado who grew up riding high into the mountains along such notable roads as Deer Creek Canyon, Lookout Mountain, and the Peak to Peak highway, you might imagine that one of these big grinds to 9,000 feet would be my natural selection for a favorite climb, but I’m here to tell you that my favorite is nowhere near the high elevations of Colorado. No, my favorite climb resides amongst the tech superstars and frenetic pace of life in Silicon Valley of California. 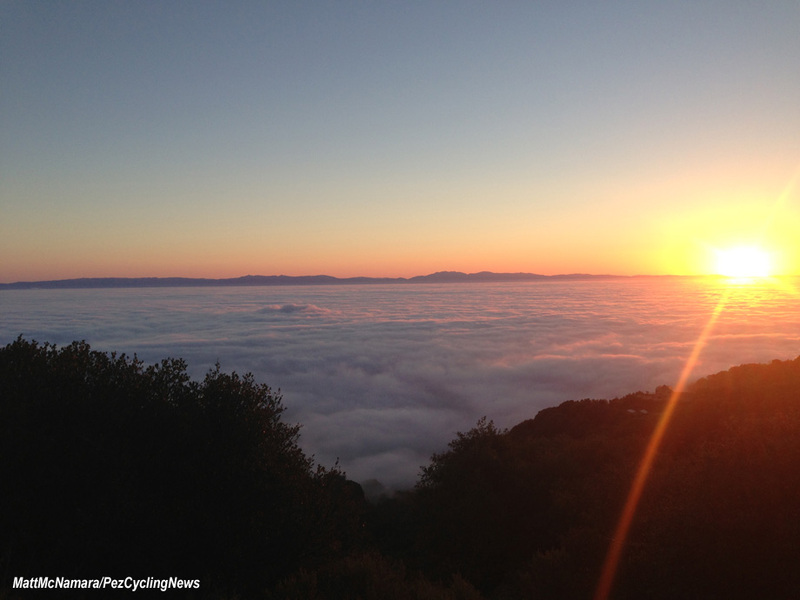 Montebello road rises from the Silicon Valley some 2,000 feet in just over five miles. It is not the toughest climb in the area, that distinction belongs to nearby Bohlman - On Orbit, a beast of some 2500 feet averaging closer to 10%. It’s not the longest climb either, that belongs to Mt. Hamilton with almost 5,000 feet of elevation spread across 20 miles (The Pez himself rode that here). It is, however, one of the most interesting and diverse climbs in the area. Let me take you on a trip up Montebello Road. 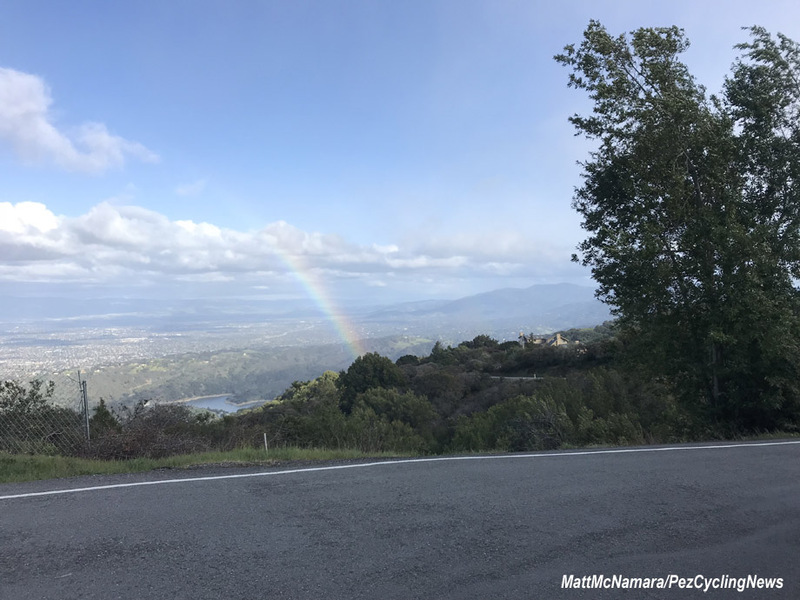 Located in the Southwest corner of Silicon Valley, a few miles from the new Apple Spaceship campus and the infamous Hewlett Pakard garage, Montebello road is a sharp right turn off of Stevens Canyon, just past the Stevens reservoir. Most folks divide the climb into three parts, each with its own feel and personality. The first part is known locally as 'Montebello To The School.' 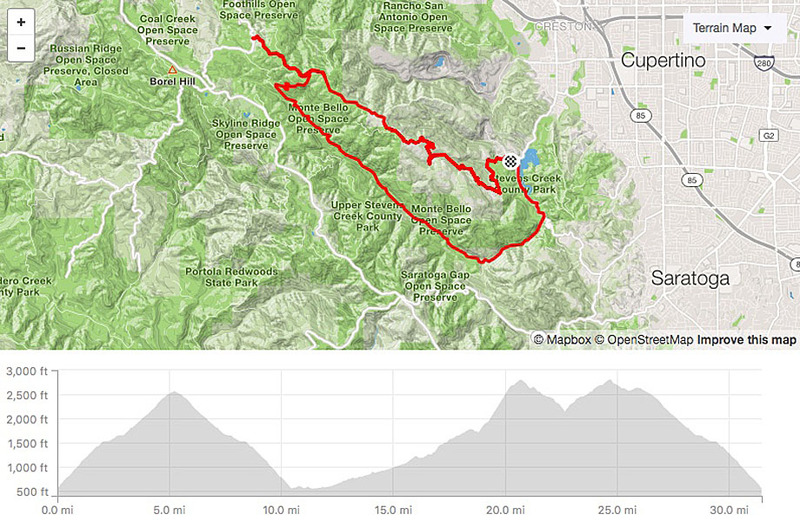 This initial 2 mile stretch climbs just under 1000 feet, averaging about 8%. You start out in the hole immediately, the first two-tenths of a mile are straight and steep at just under 12%. 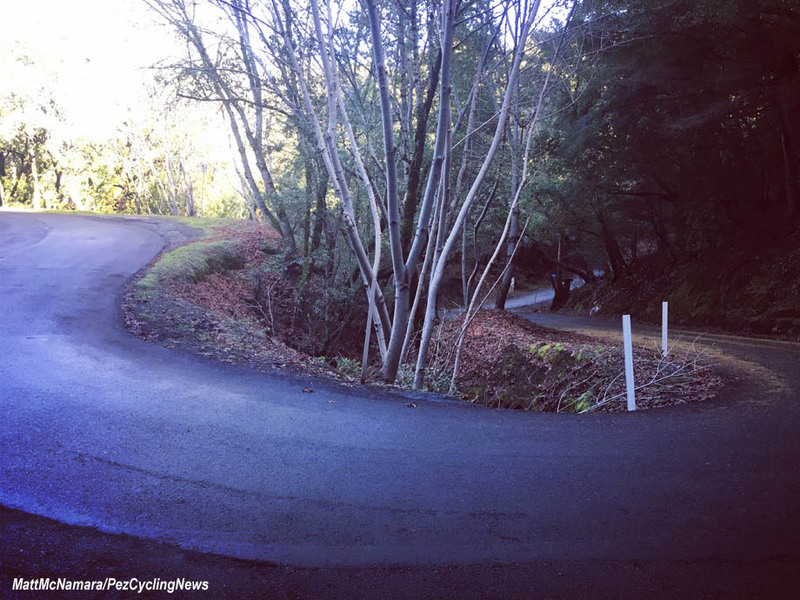 This short series of switchbacks takes you to the first respite where it levels out to a modest 2-4% for about 300m before pitching up again at the entrance to Pichetti Winery. A long left turn and you are on the second of the truly steep pitches, known as Peacock Lane, and yes there are actual Peacocks that live in the area. Fortunately this steep section only runs about 150m before thankfully relenting to 4% or so for a hundred meters. The affectionately known “Montebello Steeps” come next, a short but stinging 200m with a maximum grade nearing 20% as it zig zags up the mountain. The road continues this on-again, off-again pattern for the remainder of the climb to the school. Many years ago I started doing “Montebello 3-peats”, 3 climbs to the school and back down in a single stint - perfect for threshold to MAP efforts. The goal of 3-peats is to do all three ascents and descents in less than an hour, figuring 15min up and 5min down. It’s a nearly perfect workout, and my personal best is about 53 minutes sometime around 2008 or 2009, though I’ve gotten slower in recent years and the Strava segment shows a fastest 3-peat in the 58min range. From the school you enjoy a somewhat relaxed mile or so at a leisurely 4%, unless you’re on a PR run, in which case pacing this section can easily be your downfall as even this section throws a couple of 8% and 10% sections at you for spite. They recently repaved a large section of the road making for faster times both up and down. While the new pavement is glorious and fast, the climb has lost a bit of its ambiance in the repaving. Along the way you get some terrific views of the valley below and a chance to reset your tenacity for the final 2 mile push to the top, known as upper Montebello. Upper Montebello starts just past Swiss Creek Lane, and like the start below, kicks in straight away at over 10%. The road then stair steps itself up to the summit via inclines mostly in the 6-10% range, but there are couple of stingers in there as well, notably a testy little 0.3 mile stretch from Ridge Winery that touches double digits, and a short wall of about 150m at 12% that is always tough on legs and lungs, coming as it does in the last 1/4 mile of the paved portion of the climb. 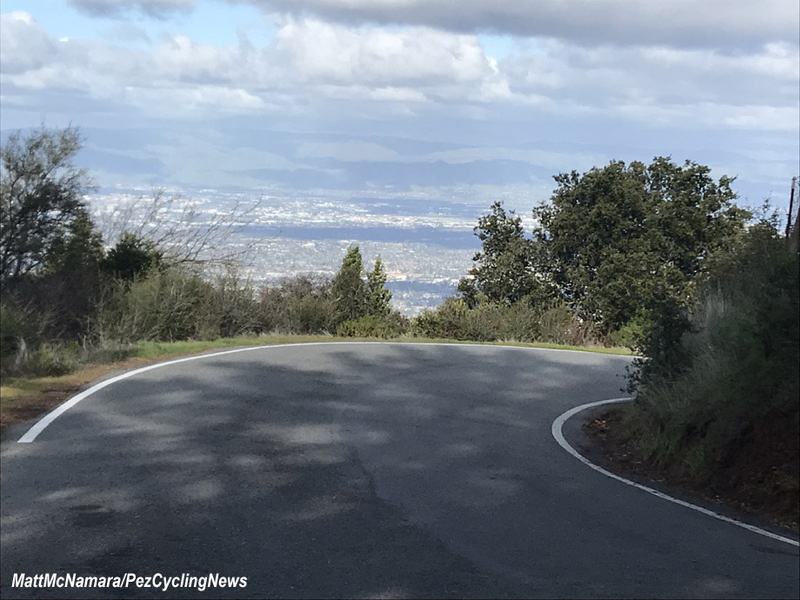 While the paved road from the reservoir is the most used, there are actually at least two other approaches to the top of the mountain that deserve mention. The first is via a sweet little dirt road connector climb from nearby Page Mill Road. It’s no easy feat, the more so because it has loose, steep, and often leaf laden roads that can be slippery on road tires, especially AFTER you barged up a narrow paved access road that reaches easily above 14% incline that zaps the legs right nicely. From there you have the high speed, kinda sketchy dirt descent from the radio towers to Montebello proper (Montebello road actually leads to/becomes Black Mountain).You can ride both ways of course, but I typically prefer coming up from the Page Mill side as it is just a bit less “exciting” in that fall down and hurt yourself kind of way. The other way, and completely navigable by road bike I promise*, is the heinous dirt path up from Stevens Canyon to Black Mountain. 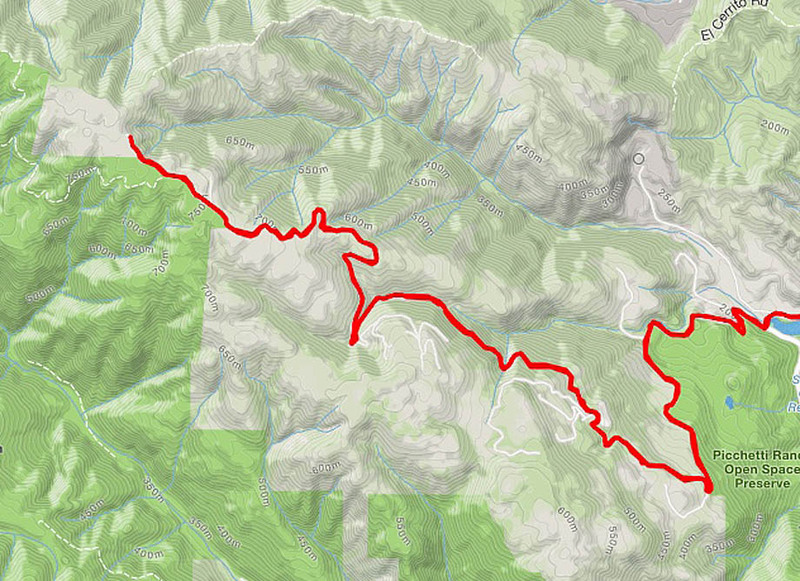 The slog from Canyon Trail to the top of Indian Creek Trail is rude. 2.2Km of 11.4% on loose and rocky trail. 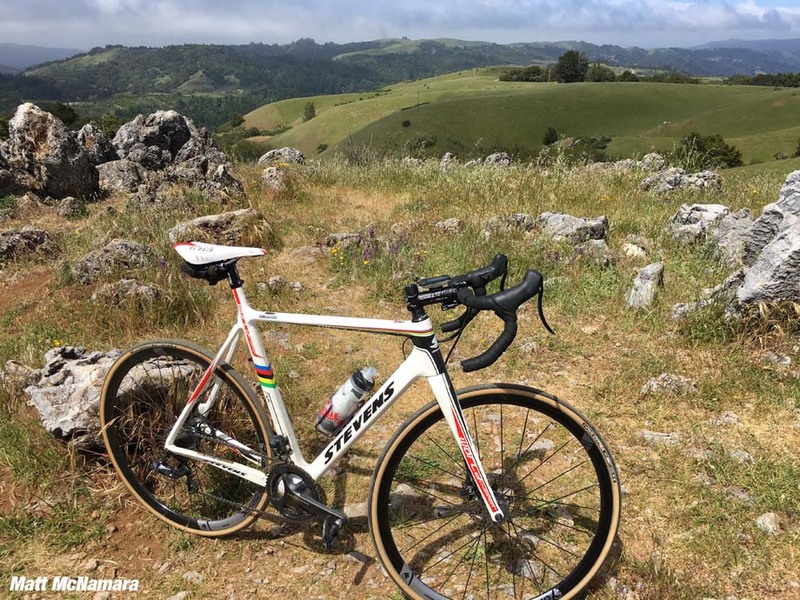 It’s better on a cross bike, and truly a gas on a mountain bike going down! *completely navigable may include small walking portions lest you die from exertion. Strava says I’ve done the full climb 85 times since 2011, but I’m well over 100 climbs if we go back to my arrival in the area in mid 2000. I have yet to break 30 minutes on the climb, the fastest is just under 25:00. 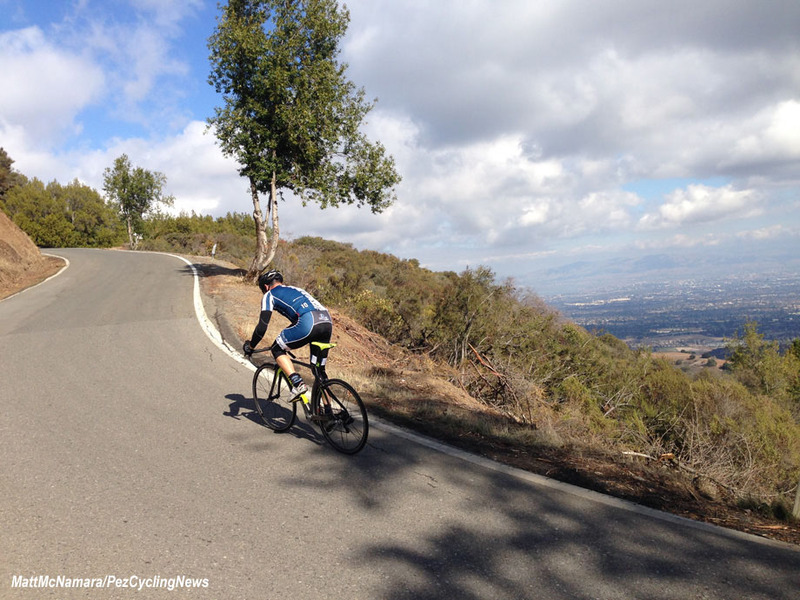 I have set my personal best 20 and 30 minute power values on the climb. I owned the fastest descent for a few years at 9:16 (33mph), although that fell a couple of years ago by 18 seconds. I’m not keen to try and get it back, my fast descending has mellowed since I hit that deer a few miles away, and a few months after setting the record in 2014. Let’s Be Honest - It’s The Descent! That I won’t bomb the descent unafraid has done nothing to temper my love of the climb. 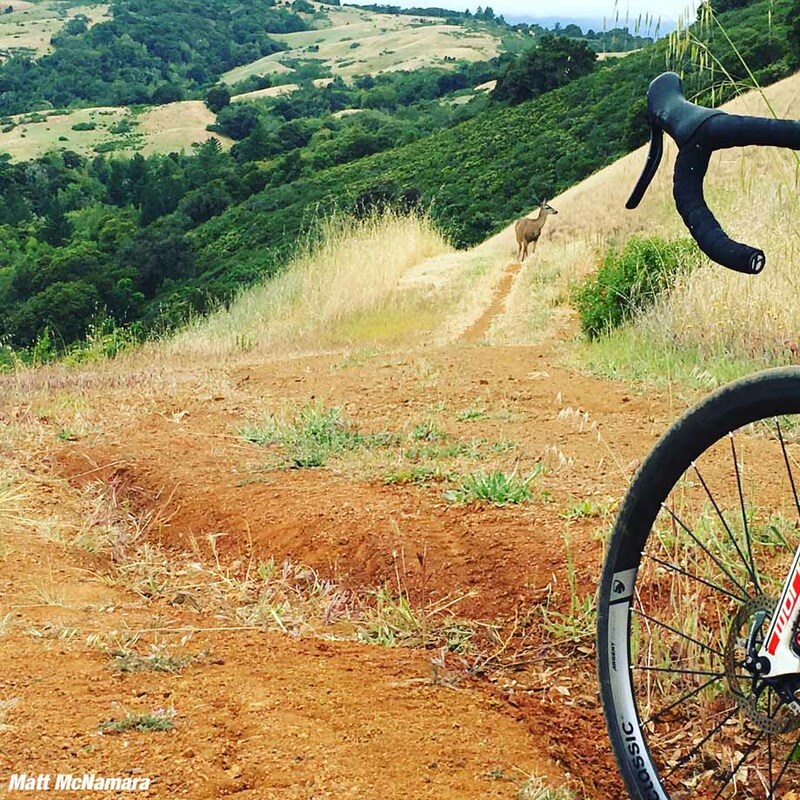 Indeed, I used Montebello roads pitched suffering to complete my “Everesting” challenge in 2016, two years to the day after I met the deer at 30mph in nearby Stevens Canyon. That was quite a day of riding! 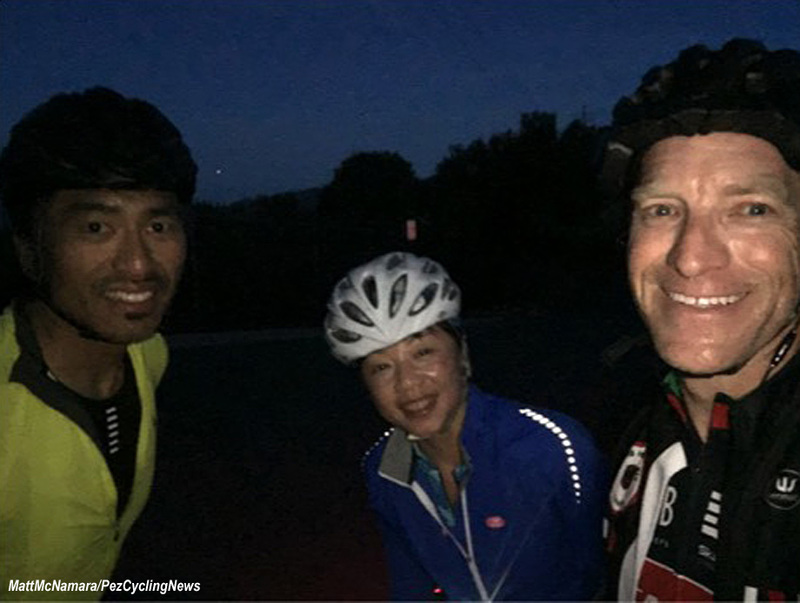 I started at 1am in the pitch black of June 1st, riding the first 4 times up without lights, simply taking in the sounds of nocturnal nature and the distant lights of the valley, watching the light rise, the sun spring up from behind Mt Hamilton to the east as I ground on mile after mile, meter after meter on the way to 29,035 feet. 15 times up and 15 times down, 155 miles, learning every nuance of the road and a new level of commitment to the task. It is on these selfish forays up that we get the chance to reflect and to learn about ourselves, to see our humanity and our place in the World. I raised some money for the victims of the Nepal earthquake that day, but even my suffering could not do justice to real suffering in the World. Damn, I am a fortunate man! Each horizontal line is 100 feet. Each vertical line is 0.2 miles. If you have a favorite climb - please send us an email at [email protected], and maybe we'll feature it on these pages. 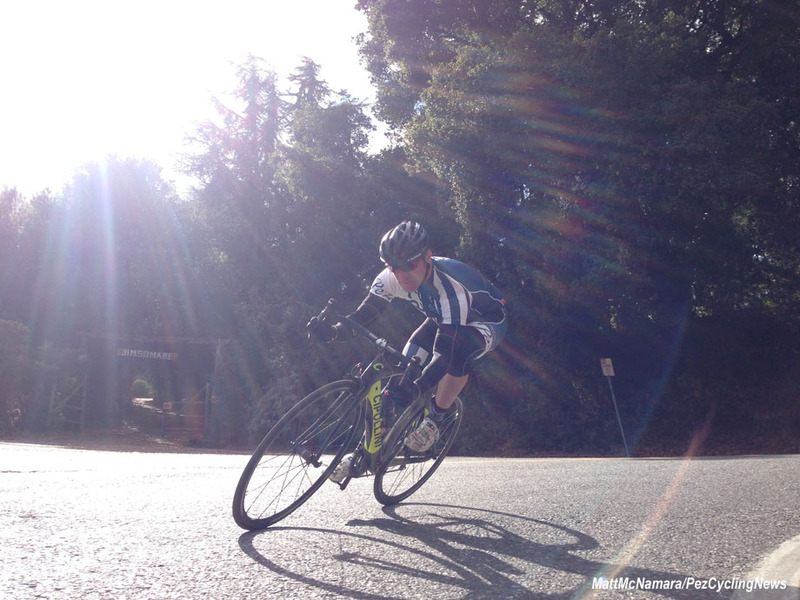 About Matt McNamara: Matt is a USA Cycling Level 1 coach with over 20 years of racing, coaching and team management experience. Matt is the founder and president of Sterling Sports Group. Learn more by visiting him online at www.sterlingwins.com.